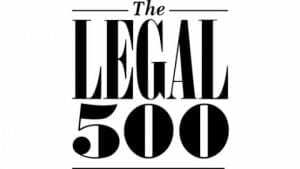 Tanner De Witt is delighted to be recommended in The Asia Pacific Legal 500 Guide 2016 for its four main practice areas; corporate and commercial, labour and employment, restructuring and insolvency and litigation and dispute resolution. Some key changes to the rankings this year have left Tanner De Witt in an overall stronger position than last year with some extremely positive comments about the partners generated from peer and client feedback. Tanner De Witt operates in the mid-market space, though often acts as co-adviser with international law firms on cross-border and multi-jurisdictional transactions. In this regard, it has experienced a notable uptick in M&A mandates. The lawyers deliver a ‘very client-oriented service’; they provide ‘excellent business and industry knowledge’, and ‘concise and to-the-point advice’. In particular, Tim Drew has a ‘strong sense for the needs of the client’ and ‘sets the right tone in negotiations’. Eddie Look and Edmond Leung are also commended. Acting for both employer and employee, Tanner De Witt’s recent mandates included defending a private bank against a substantial financial claim brought by a former senior executive. Kim Boreham is ‘an exceptional lawyer; her knowledge is second-to-none’ and fellow co-head Russell Bennett has impressive in-house financial services experience. Insolvency and restructuring is at the heart of Tanner De Witt’s business. The team is particularly noted as having ‘a lot of experience on the contentious side’. The firm acts for a range of office holder clients such as PwC and KPMG. Key recent mandates include representing the liquidators of OW Bunker China and the liquidators of MF Global. The lawyers ‘go out of their way to maintain ongoing close relationships with clients’ and are ‘extremely good at what they do’. Ian De Witt and Robin Darton are both ‘very competent, practical and commercial’. Recommended for general commercial litigation, property and inheritance disputes, Tanner De Witt attracts very strong peer and client feedback. Department head Mark Side is ‘very good on licensing and matrimonial issues’; Jeff Lane is ‘an outstanding disputes lawyer’; and insolvency specialist Robin Darton is ‘very commercial’. The highly regarded Pamela Mak’s recent cases include multi-jurisdiction probate proceedings and Sino-American telecoms sector disputes.